Location: Home » ABSINTHE » CAMI ABSINTHE from Czech » TOULOUSE LAUTREC ABS.. 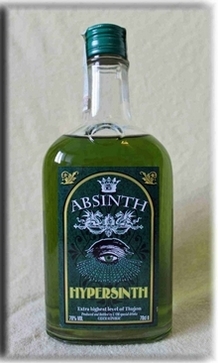 This high quality absinthe is distilled by hand in a remote, protected area of Tschechien, Czech. In accord with the French tradition, the “green anise” helps round out the composition with other herbs and the ever-essential wormwood. Fortunately, no artificial ingredients are found anywhere in this masterpiece. The color is fairly simple, opting for a pristine, natural taste, instead of potentially flavor-altering color additives. A beautiful louche effect occurs when water is introduced. A mixing proportion of 1:4 is recommended for optimal results. Toulouse Lautrec is setting a new benchmark in terms of quality and value found in absinthe. At 39 EUR/bottle, its level of taste, effect, and quality is difficult to match. We are convinced that Toulouse Lautrec will continue to win over absinthe fans around the world.